The Bureau of Labor Statistics states that customer service is the fourth largest occupation in the United States, mostly operating out of call centers. Leadership in call center organizations is trying to get an edge by making their hiring process more efficient, reducing the potential for turnover, and finding top performers to provide high levels of productivity, quality, revenue, and overall performance. To do this, there is a need to look deeper into the hiring process to find out what characteristics best predict future performance. There is so much knowledge and so many characteristics, competencies, skills, and abilities that may or may not be useful to HR when finding applicants for these roles. Sometimes the best place to start is also where there is the biggest challenge. For example, call center employees require constant attention and the ability to calmly and effectively process many pieces of incoming information at once. With a never-ending queue of customers calling in, every moment that an employee is not able to switch from one call or task to another is a moment that a customer waits on the phone (or chat, or email, etc.). Therefore, call centers cannot function properly without employees who can effectively multitask and quickly process information. So, it would make sense that when you're hiring a new contact center employee, measuring for processing speed and multitasking would be a strong predictor of a good employee. The performance measures come from a wide variety of performance metrics which are recorded and measured in almost every call center. 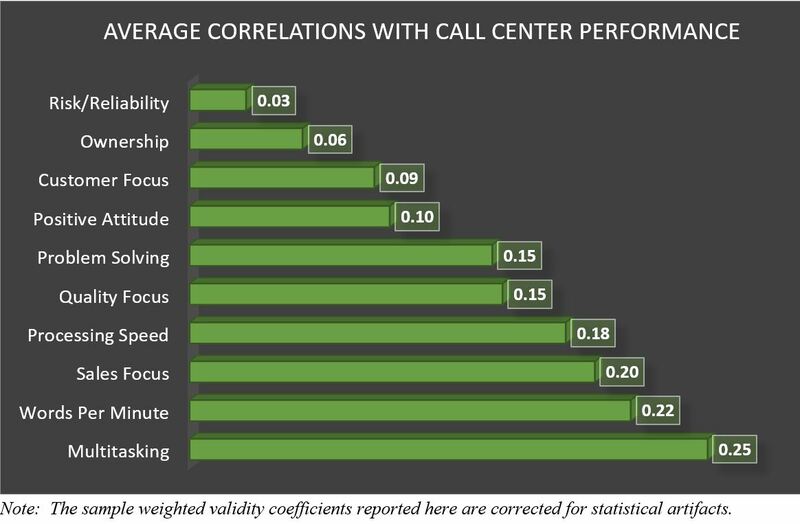 Results showed that the measure for multitasking was the strongest predictor of call center representatives' performance. A well-constructed constructed job description, along with a realistic job preview, can screen for ownership, sales focus, and customer focus. Read more: Should You Have A Realistic Job Preview as A Part of Your Hiring Process? Seek employee referrals. Understand if an individual is reliable is by ask for a referral from the candidate’s colleague or supervisor who sees the person's reliability on a regular basis. A structured interview has been one of the best predictors of future performance. This is a perfect opportunity to ask follow-up questions where you can target potential for ownership and positive attitude. For example, ask the applicant to share an experience where they solved a customer issue, or ask applicants to describe a time when they saw a customer problem or project through from start to finish. Skills that predict call center performance can be measured through employee assessments. 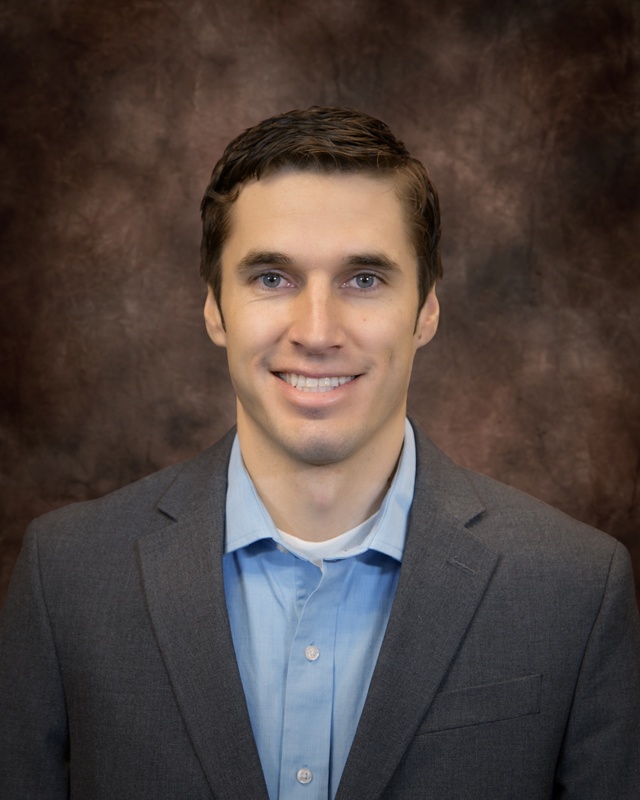 Furthermore, including other steps throughout the call center hiring process, like structured interviews, realistic job previews, and employee referrals can help seal the deal. As always, once you have found effective employees, seek to retain those individuals by fostering a culture that rewards and celebrates reliable behavior. In our whitepaper, Predicting Call Center Metrics, we dive into other ways to identify what types of performance measures predict success in call center employees.